After hearing many complaints about slow internet speeds, Ville Platte is considering adding another service provider to give residents a local alternative. They held a public hearing to let residents air out their grievances, with the city’s current internet provider, CenturyTel. “It takes forever to make a lesson plan because I’m always redoing it.” said one Ville Platte resident. “I’m not one to complain but this is a problem.” said Lisa Deshotel who recently disconnected from her internet provider, CenturyTel. “The service was slow. The contacting of the company was very very hard between phone calls from out of country versus another local person.” Deshotel added. Stories like these are what prompted Todd Moran of Ville Platte to approach the city about letting his company, Universal Communications, be another option for residents. “You call a 1-800 number and you may be talking to someone that’s 8 states away in another country. 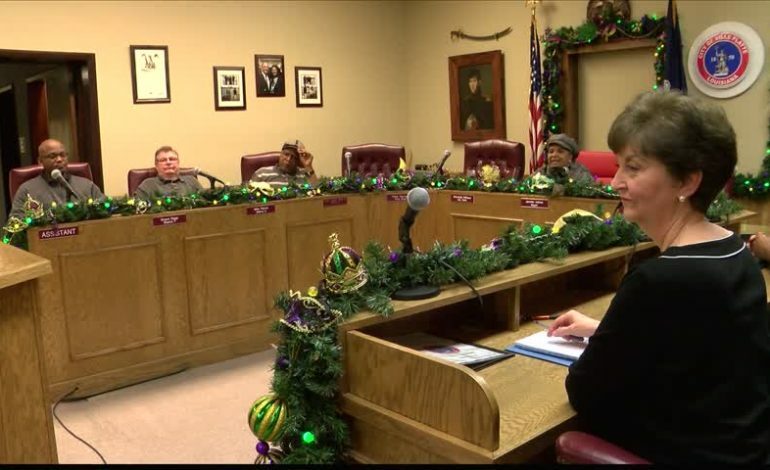 We’re a local business and we want to provide local service and it means a lot to be able to help out the city residents of Ville Platte.” said Moran. “You have that hometown local business service. They know you. You know them. You provide the best service to the people you know and the people you love so that’s why it was important to us to hear from the citizens tonight.” said Mayor Vidrine. Deshotel left the meeting optimistic. “I’m excited about what I heard tonight and looking forward to them voting that we can have another choice and hopefully this service will be better than what we have now.” said Deshotel. The city is still working out a deal with Universal Communications to allow them to be another service provider. If a deal is approved, it will still be another 2 to 3 months before they are up and running in the city limits and surrounding areas. Universal Communications currently provides internet for Bunkie and Palmetto.